Well, I mean that in the sense of laws too. 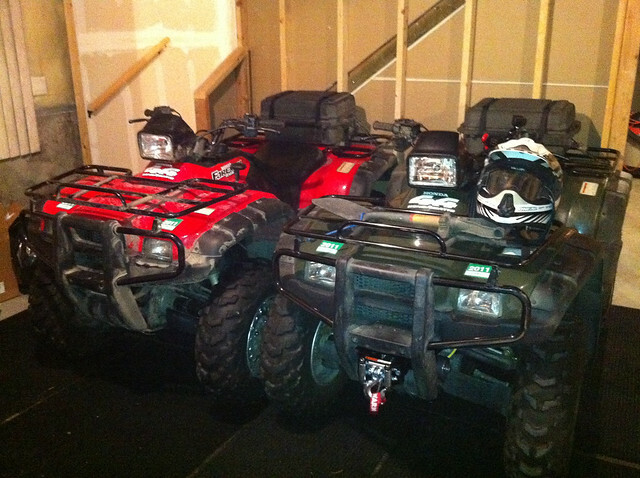 We have 2 ATVs and in Leadville I can’t quite figure out the rules up there. They seem welcome on roads but I am always nervous when a law enforcement officer is nearby. I always wonder if I am getting away with something. Turns out I have been more than legit for a long time now on our ATVs. I stay off anything paved but that is no longer the case it seems…officially. Caught this article in the Leadville paper. I am printing it and putting a copy in the ATV for future reference. Pretty great news! This opens up the west of us without trailering now too! I had figured out how to cut to the east side of town on dirt paths already. Can’t wait for the next ride! The Lake County Board of Commissioners approved an ordinance establishing multi-purpose use on all county roads at its regular meeting Oct. 15. Under the ordinance, county roads are open to off-highway vehicles such as dirt bikes and all-terrain vehicles for use in getting to recreation destinations. A previous resolution opened county roads to use by these vehicles, but putting it in the form of an ordinance makes it easier to enforce, Commissioner Mike Bordogna said. Use of off-highway vehicles comes with several provisions. Some of these include that all operators must be legally licensed, that vehicles can only be ridden single file on the right-hand side of the road and that use of these vehicles is only allowed during the day unless the vehicles have a headlight and a taillight. Anyone caught violating the provisions of the ordinance will be assessed a fine. A first offense will result in a $100 fine, a second offense in a $500 fine, and a third offense in a $1,000 fine, according to the ordinance. At the first reading of the ordinance on Sept. 17, Leadville District Ranger Jon Morrissey expressed concern about designating all county roads open to off-highway vehicles. He had particular concerns about county roads 4, 9 and 24 around Turquoise Lake. Allowing off-highway vehicles on these roads could make exiting and entering campgrounds around the lake difficult, he noted. Morrissey also said that paved roads and off-highway vehicles are not a good fit because they were not made for that kind of road service. The commissioners addressed Morrissey’s concerns during this meeting. In relation to the vehicles being dangerous on county roads, Commission Chair Carl Schaefer noted that the resolution had been in place for awhile and he hadn’t heard of any injury accidents with the vehicles. Bordogna also said that he didn’t want certain roads excluded because he didn’t want to see people who were following the law ride dangerously through closed areas in order to get to their destinations.